Ready, Set, Go! The LBI Spring Market starts now. It should be an interesting year. Prices are the strongest they have been in years and mortgage rates are still low. 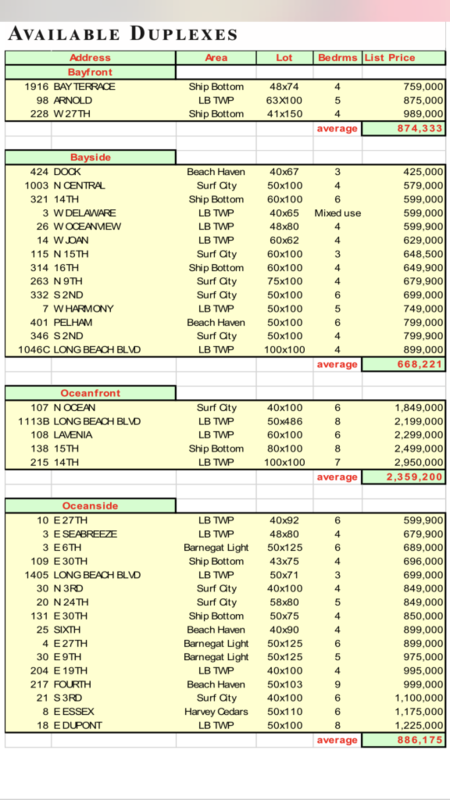 The Fall Market produced LBI duplex sales slightly lower than last year’s Fall Market. Absorption rate below looks the same as it did this time last year and is indicative of the lower number of sales this time of year. Based on the current absorption rate, today’s listing inventory represents a 10.35 month supply. The rule of thumb in the real estate business is that less than 6 months supply indicates a seller’s market and more than 6 months supply indicates a buyer’s market. 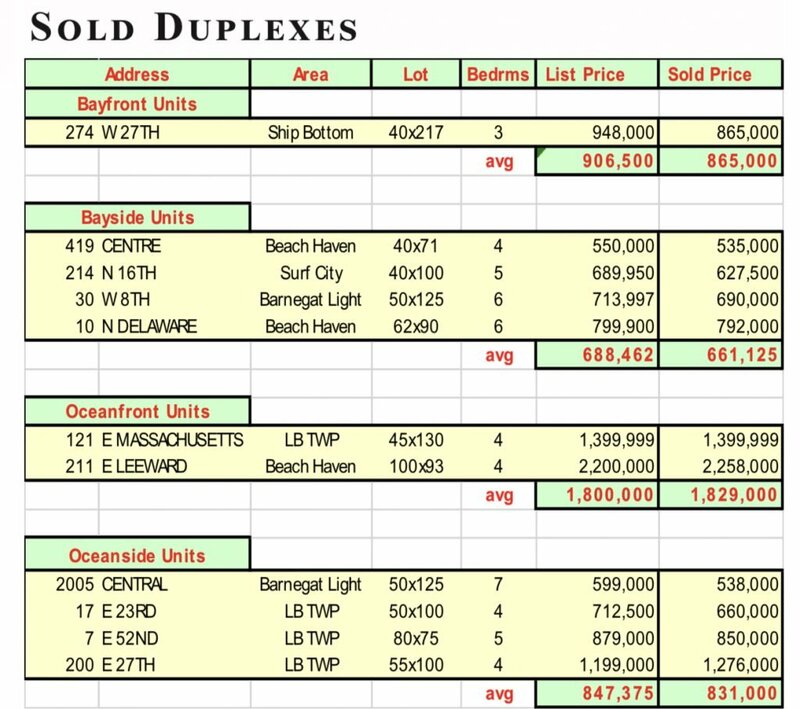 The ratio of Sale Price to Listed Price for sold duplexes in the MLS is 96.7% this month. The ratio drops to 94.4% when based on original list prices. As always, correct pricing is necessary to produce sales. Last year more of our duplex listings sold than those of our closest two competitors combined. To learn what your property will sell for, if aggressively marketed, call us for a free market analysis. You never regret hiring the best! Call/Text Gina Laird at 609.618.8390 or email team@lbiduplex.com.